Jabe Mullins is 6 foot 6, Tyler Patterson is 6 foot 7. They’re the two tallest players Mount Si High School’s boys basketball team has on the court most of the time. Both are guards. Mount Si’s starting “center” is 6-4. What’s supposed to come next is a diatribe about where all the true post players have gone and what happened to post moves. Just ask Wildcats coach Jason Griffith if he’d like to see Mullins and Patterson spend more time around the basket instead of the three-point line. “Oh, absolutely. But, I mean, Tyler was 150 pounds when he entered high school, so he couldn’t do that before this year,” Griffith laughed. And there’s something to be said about having two multidimensional guards who can dribble, shoot, pass, defend and are five inches taller than their defenders. That’s what Mount Si has in these two standout juniors. Mullins and Patterson were given the keys to the Wildcats’ offense as freshmen and now they’re preparing for the Class 4A state quarterfinals Thursday in the Tacoma Dome, awaiting the winner of Wednesday’s first-round matchup between Puyallup and Jackson. They entered the hallways three years ago to a school that hadn’t even compiled a winning season since 2012. Mount Si hadn’t been to the Dome in more than a decade and only twice since 1979. 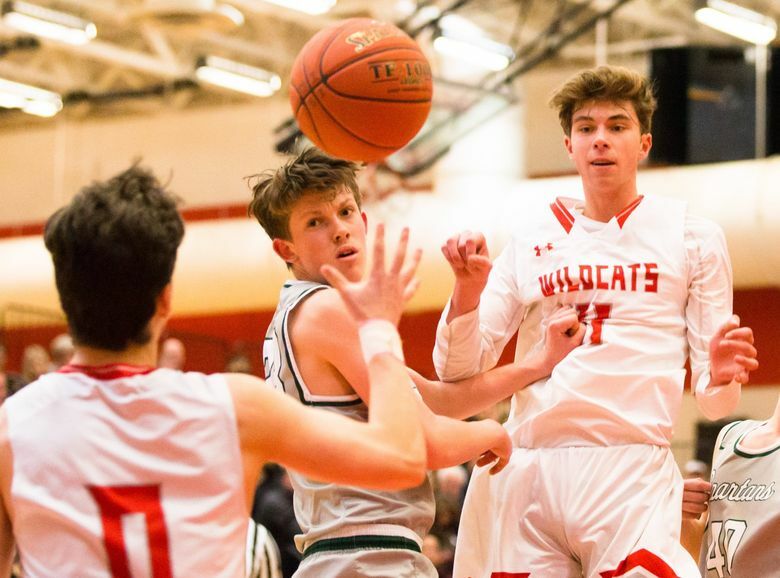 Mullins and Patterson have been two of Mount Si’s top scorers the past three seasons, even though their skill sets, and personalities, probably couldn’t be more opposite. They can’t remember a time they haven’t played together. At least since the third grade, they say, and since then Mullins has paved his way from a long-ago big man to one of the top playmakers in Washington. “That’s where Jabe, to me, is light years beyond most kids,” Griffith said. “He can make three reads on one play pretty easily, and he’ll make the right pass, the extra pass. Mullins said he started to hone in on his guard skills just before getting into high school. Patterson was almost the same, spending most of his younger days as a stretch four. 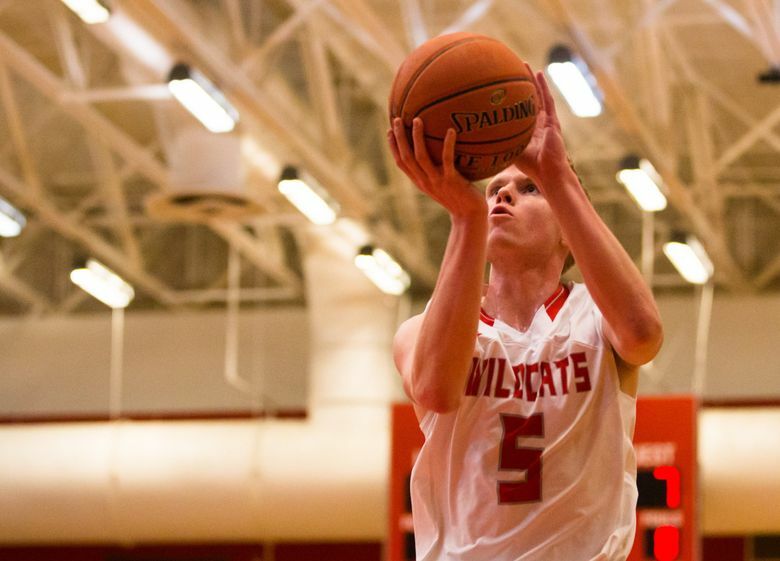 Now he’s Mount Si’s go-to three-point shooter and was the KingCo 4A Crest division’s defensive player of the year. Mullins was the league MVP. Mullins, this year, has averaged 19.8 points, 7.7 rebounds and 4.3 assists per game. In the KingCo championship game against Issaquah he almost had a triple-double with 24 points, nine rebounds and 11 assists. Patterson averages 15.4 points, 4.7 rebounds and has made 47 threes. Senior guard Brett Williams was asked what makes them unique. “Their work ethic, absolutely their work ethic,” Williams said. They’ve changed Mount Si’s culture. Griffith says they’ve started a legacy. Griffith went to state five consecutive years with Issaquah before taking over at Mount Si three years ago, where he and his family live. They went 8-13 his first season, 13-11 last year and are now 24-2, with their only losses in the season-opener against Ferris (in overtime) and Pinnacle of Arizona on Dec. 26. Griffith instilled defense, toughness, work ethic and a year-round training program for those not doing multiple sports. Mullins recalled the first practice his freshman year, Griffith’s first season, that they never picked up a basketball. Defense only. Griffith said the first person he called when he was hired at Mount Si was his wife, the second person was the booster club president of Mount Si’s youth programs. “I had to. That’s my future,” Griffith said. Even if neither of them played in the post. They’ve actually done more of that this season, running sets to let Mullins use his playmaking closer to the basket, or Patterson for his length against smaller defenders. “We definitely don’t have an inside presence,” Griffith said. “Nobody wants to play inside, so a back-to-the-basket kid, nowadays, that’s like going extinct. Same with true point guards (which Mount Si has in freshman Bennett O’Connor, the son of former Bellevue coach Chris O’Connor). Everyone around Mount Si wants to point to next year, not only when their new school and gymnasium are built, but when Mullins and Patterson are seniors and the rest of this young squad is a year older. They should be the state-title favorites for 2020. That’s great. But they want their hardware this year, especially seeing that Gonzaga Prep and Federal Way are on the opposite side of the tournament bracket. Top storylines: Ever since Gonzaga Prep pulled away from Federal Way to win last year’s 4A state title all anybody can talk about is the pending rematch, not just between the teams, but between Gonzaga signee Anton Watson and 6-foot-11 Jaden McDaniels. But guess what? G-Prep and Federal Way are on the same side of the bracket. So the two best teams, with neither having an in-state loss this year, are on collision course for a showdown in the semifinals. But the other path to the championship is wide open, and don’t be surprised if SPSL cohorts Curtis or Puyallup make a run through either Union or Mt. Si. Players to watch: F Tari Eason, Federal Way, 6-9, Jr, (Ranked No. 91 2020 recruit in the nation by 247Sports, 17.8 ppg, 11 rpg,); G/F Jaden McDaniels, Federal Way, 6-11, Sr. (Ranked No. 5 overall recruit in the nation by 247Sports, 23.2 ppg, 10.3 rpg); G Jabe Mullins, Mount Si, 6-6, Jr. (4A KingCo Crest MVP, 19.8 ppg, 7.7 rpg, 4.3 apg); G/F Zack Paulsen, Curtis, 6-4, Sr. (Seattle Pacific signee, SPSL MVP, 22.3 ppg); F Anton Watson, Gonzaga Prep, 6-7, sr. (Gonzaga signee, 21.7 ppg,, 7.1 rpg and 3.8 apg). Last: Gonzaga Prep or a school from the south sound has won the 4A state title in seven of the past nine seasons. And the top three seeds in this year’s tournament, Union, Gonzaga Prep and Federal Way, have all appeared in a state-title game over the past four years. The Bullpups’ second-leading scorer, junior Liam Lloyd, is the son of Gonzaga University assistant Tommy Lloyd. Oh, and senior guard Sam Stockton is the youngest of NBA Hall of Famer John Stockton’s six children.